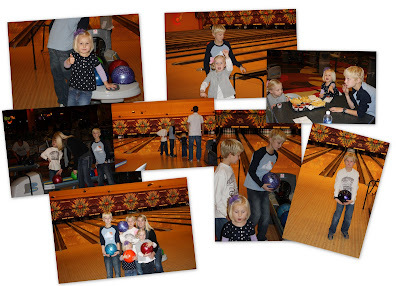 Every year Easton only wants to do one thing for his birthday, and bowling is it! We usually only go once or twice a year and it always ends up on his birthday. We headed out for Sunset Station on Saturday to celebrate. The kids had so much fun. Ava wanted to do everything "her very self." Austin was a little upset that Sami beat him! Easton is such a sweetheart and is such a great kid. Of all of our kids he is definitely the has the sweetest spirit. He is genuine and kind. He cannot seem to understand while people are mean and hurtful to others. I can always count on him to help and to play with his sisters. He has been so excited and had so much energy these last few weeks. I asked him where all of his energy was coming from and he said, "I have so many exciting things coming up (birthday, baptism, and Christmas), that I just can't help myself!" Easton is a special kid with a very tender heart and we love him very much!